Offer Details: 1. 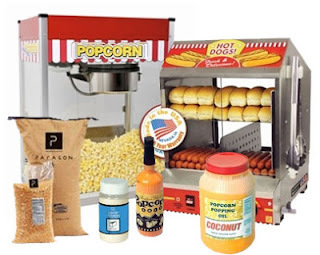 Select your popcorn popper. 2. Click on the Add to Cart button. 3. At Checkout page, enter in Coupon code: "popcorn" and click apply. Receive a 24/case tri pack to go with the respective size of the popper. $25 - $45 Value! !